Shawn Snyder grew up in South Florida. After receiving a BA in Religion from Harvard, he spent most of his twenties on the road as a singer-songwriter. 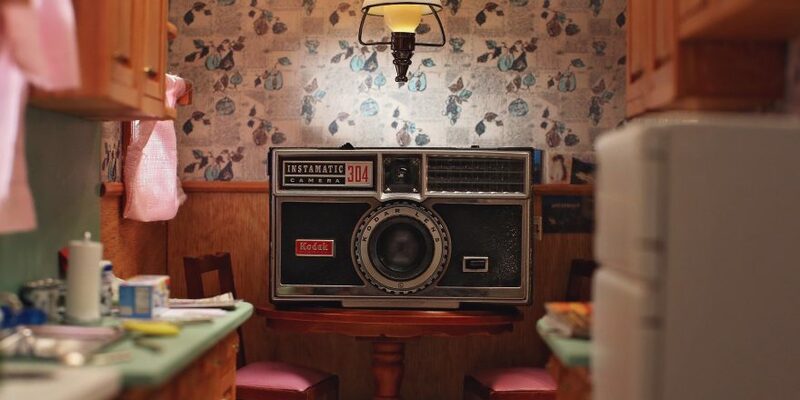 The last seven years have seen a return to Shawn’s long-standing passion for filmmaking, during which he completed studies at NYU’s Graduate Film Program and made the short films Festus and Lulu. Snyder’s first feature, To Dust, premiered at the 2018 Tribeca Film Festival, where it won the Narrative Audience Award and Best New Narrative Director; it opens in theaters through Good Deed Entertainment on February 8. 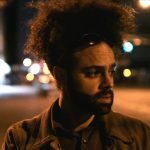 To Dust was a part of IFP’s 2015 Emerging Storytellers, the recipient of the NYU/Alfred P. Sloan’s $100K First Feature Award, the winner of TFI’s 2016 Sloan Student Grand Jury Prize, and a part of the NYU Production Lab’s inaugural slate. Snyder is also a former IFP/Marcie Bloom Fellow and Sundance Institute Feature Film Fellow, and was named one of Filmmaker magazine’s “25 New Faces of Independent Film” in 2016. It’s around 2 a.m. on a Thursday night. My partner is home in bed, eight months pregnant. And I’m in a smoky living room in a dilapidated home in Crown Heights, deep into an unplanned contact high, hanging out with a colorful crew of fringe (and former) Hasidic Jews – folks who’ve left the community, but still lean lovingly on this network of fellow travelers; folks who remain, but tiptoe out on the edges; folks with legs somehow planted firmly on both sides of the line. Men and women, surprisingly, are fraternizing, commingled. This is an environment where the most devout must tolerate being in the same room as the least – which, in this time and place, may be me. I’m doing research for a script I’m writing called To Dust. But mostly, I’m just bowled over and deeply moved by this makeshift community of motley souls, celebrating their (often difficult) journeys with kindred counterparts, all finding their own way to some idiosyncratic reconciliation between the faith from which they came and their own insistence on personal meaning, exploration and individuation atop (or beyond) that faith. In many ways, To Dust is about precisely that: Shmuel, a Hasidic cantor, distraught over the untimely passing of his wife and unable to find spiritual solace, tiptoes beyond the boundaries of his narrow enclave and into a community college biology class. Stricken with nightmares about his wife’s decomposing corpse, he implores the bewildered professor to help him understand what exactly is happening to her body. Insanity, and hopefully poignancy, ensues, as the two form an unexpected partnership in pursuit of this elusive and idiosyncratic catharsis. It’s a story that explores our right to grieve and heal in a wholly personal way – beyond or in place of the rituals handed us from our own communities and cultures. The film is a manifestation and continuation of my own mourning, an ever-evolving and always present pilgrimage since losing my mom to cancer almost a decade prior. The script is an excuse for therapy, my own catharsis and the processing of personal tragedy through art. At this stage, I don’t dare imagine I’ll be given the opportunity to turn this strange and soul-baring experiment into a first feature. When he was younger, the fellow who told me about the film had himself stumbled upon an illicit copy, which was then furtively passed amongst his friends, much like a secular bunch of eleven-year-old boys might do with a nudie magazine. He, in fact, recalled the movie as the first secular film he had ever seen. And it terrified him to the core – the way a devout Catholic might get spiritually rattled by a film like The Exorcist. Before penning The Dybbuk, S. Ansky had spent years traveling around the Jewish shtetls of Russia and Ukraine, researching and documenting the folk beliefs and stories of Hasidic Jews – the better to tell an authentic and truly terrifying tale. In some small way, I was on a similar ethnographic search. I conceived of To Dust as a modern parable, tethered to a Jewish tradition of folktales and midrashic and rabbinic storytelling. 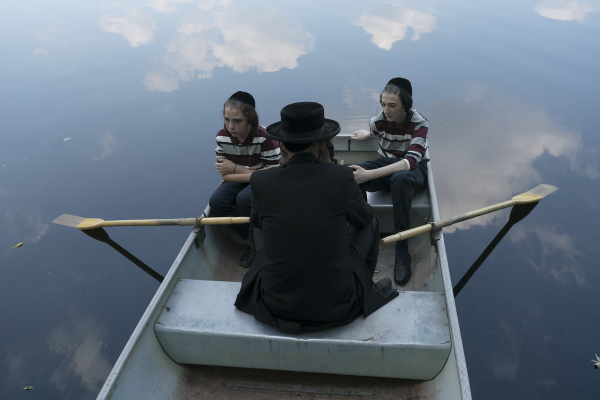 In that spirit, I’d already been mining Hasidic lore in hopes of layering into the narrative, via Shmuel’s two adolescent sons, a supernatural strand. Dybbuks, golems, imps, demons, sprites, succubi, even vampires and werewolves. Embellished with the fascinating specificity of kabbalistic mysticism, these were all a part of the catalogue of the Hasidic occult. I hadn’t learned any of this in suburban Hebrew day school. My writing partner, Jason Begue, and I felt that the two boys – awash in their grief and left to their own devices, with a growing gulf between themselves and their wrecked father – required an investigative storyline of their own, one that would in many ways mirror Shmuel’s. While the cantor’s inquiry leads him down the rabbit hole of science, the boys follow the path of superstition, driven by a fear that their father has been transfigured by his grief into a sort of boogeyman. In all the manifestations I’d come across – from the stories of Isaac Bashevis Singer, to the prologue of the Coen brothers’ A Serious Man, to the 2012 horror film The Possession – dybbuks were malevolent spirits wrecking the lives of their unwitting hosts – and seemed to only be employed by their respective storytellers for horrific and/or comedic effect. 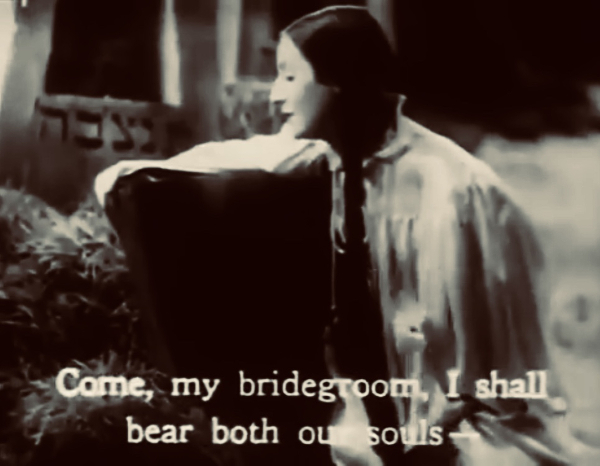 While the idea of the dybbuk had always seemed a promising mythological match for To Dust, it wasn’t until the young man in the Crown Heights living room tipped me off to the 1937 film that the whole idea began to organically bear fruit. That the abstract promise of the folklore transfigured into something potentially deep and layered and, dare I say, beautiful. The Dybbuk is an incredible work and a remarkable relic of film history. A Yiddish fantasy horror movie steeped in cultural specificity, yet co-opting the stylistic flourishes and German expressionism of its contemporary genre counterparts. Discovering it was available in its entirety on YouTube, I watched it start to finish the next day, a bit bleary-eyed from the Hasidic hangout the night before. It very much felt like an epiphany. Jason describes the writing process on To Dust as almost an excavation – that this odd, intensely personal idea of a film had somehow pre-existed, and only through our in-depth research, into both science and religion, did the story slowly reveal itself. The Dybbuk felt like a final piece in the puzzle. We were already playing with genre, nodding heavily toward 1940s B-horror in the Val Lewton vein. We were already threading our fabric with kabbalistic meditations on the soul and the afterlife. We were already sketching out the cantor’s sons’ hypothesis that their dad might be possessed by the dybbuk of their mom. 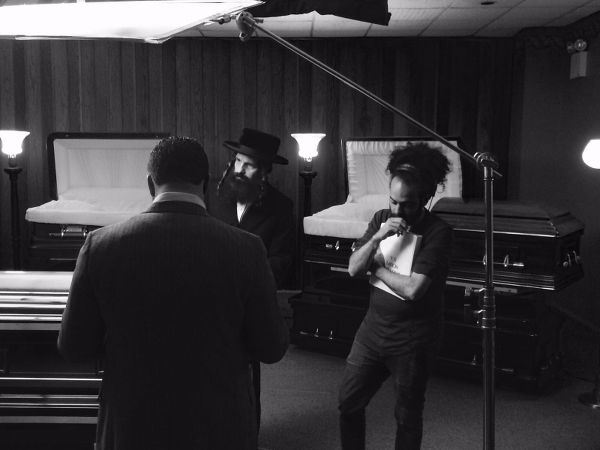 But here – on YouTube – was a cinematic antecedent to elevate all that, on all levels, and put our film in direct conversation with its Hasidic and cinematic past. On the more surface level, I was instantly struck by an uncanny funhouse mirror of parallel imagery, iconography, and plot devices – flourishes we’d already baked into To Dust that bore a bizarre resemblance to The Dybbuk – as if we’d tapped some main line straight into the collective unconscious. Shmuel draped over his wife’s grave, as The Dybbuk’s bride drapes herself over her own beloved’s. The bride’s voice singing a haunting lullaby, as a disembodied female voice sings us into To Dust. More broadly, the cautionary taboo in The Dybbuk against delving into kabbalistic mysticism, lest one go crazy, mirroring the cultural taboo in To Dust against delving into questions about death, science and the soul. But, most of all and most poignantly, is the way The Dybbuk takes genre and folklore, the very notion of the dybbuk, and fashions it into poetry and a profound and nuanced perspective on grief – that a dybbuk might be loving, that its host might be willing, that their merging might be meaningful. The film does something subversive and so strikingly ahead of its time: it turns horror into poetry. Given this, it felt irresistible to directly incorporate The Dybbuk into To Dust. As Shmuel’s sons investigate, their holy grail/ark of the covenant becomes an illicit VHS copy of The Dybbuk, previously confiscated by their yeshiva’s principal. Oddly, while Shmuel’s sons cull from folklore to land upon the most outlandish interpretation of what their father is going through, it is their mythic understanding that proves to be perhaps the most poetically accurate take on what exactly is ailing Shmuel. I never made it back to those weekly gatherings of beautiful misfits, the “Hasidic speakeasy,” as I came to call it; with a pregnant partner about to pop, late-night dalliances seemed increasingly irresponsible. And then my daughter was born, which marked the beginning of a year-and-a-half of blissful stay-at-home fatherhood. The script was soon finished, and became more life-affirming than it might otherwise have been, as I essentially wrote about the death of my mother while experiencing the daily miracle of my newborn daughter. And through a lot of love and serendipity, and perhaps some otherworldly guidance, this deeply odd and oddly personal film found its champions, got made, and is now getting a national theatrical release beginning this week, all on a level beyond my wildest imaginings. My venturing into the Hasidic world, in the same way that Shmuel ventures into the secular, bore so much beautiful fruit. 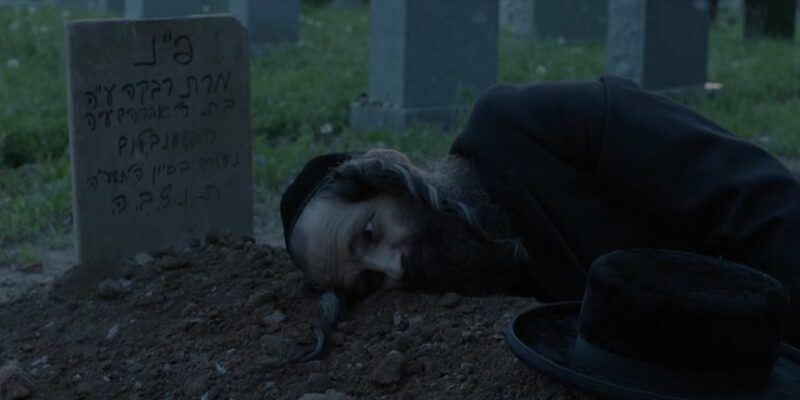 And finding The Dybbuk therein, not only lent our film a beautiful cinematic and narrative bowtie, but personally provided me with a beautiful and cathartic framework to think about my own grief. I’m comforted by the idea of a dybbuk. 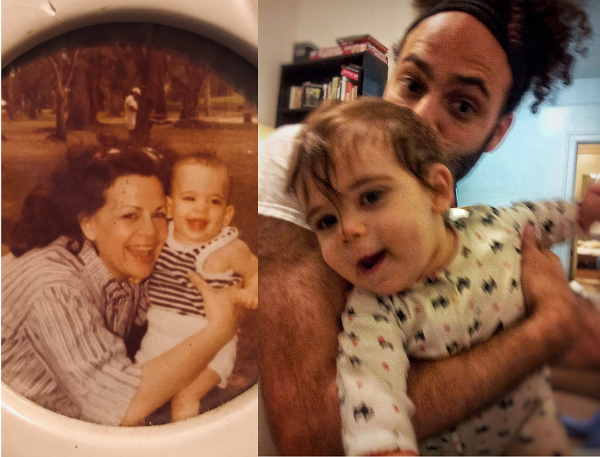 The thought that my mom might be somewhere inside me – humanistically and metaphorically, of course, though there are times of weakness when I can’t help but long for the real thing. That, through my eyes, she might be able to watch her granddaughter grow. That, through my heart, she might be gently guiding me on my way. That she might be celebrating, along with me, this surreal fulfillment of my childhood dream to make movies, a dream she helped plant and lovingly nurture. At the very least, I like that thought. She has an open invitation. And I’ll gladly be haunted by her loving ghost.